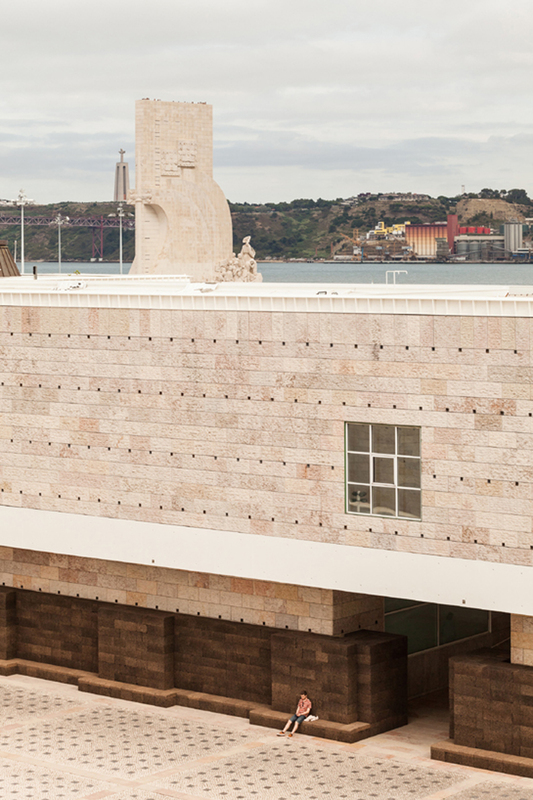 the construction of an object suitable for screening an open-air cinema was the pretext for architect josé neves’ transformation of the belém cultural center (CCB) square in lisbon. 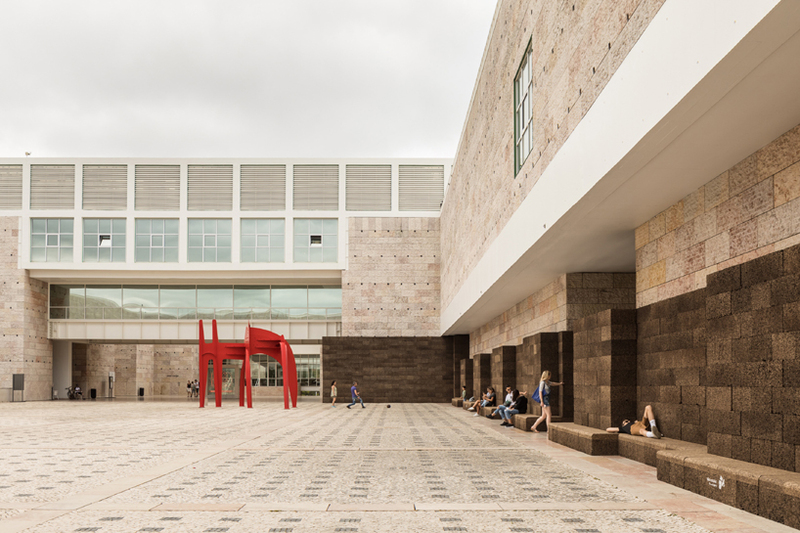 the existing manuel salgado and vittorio gregotti-designed scheme has since become an active space for the thousands of people who visit CCB during the summer months. 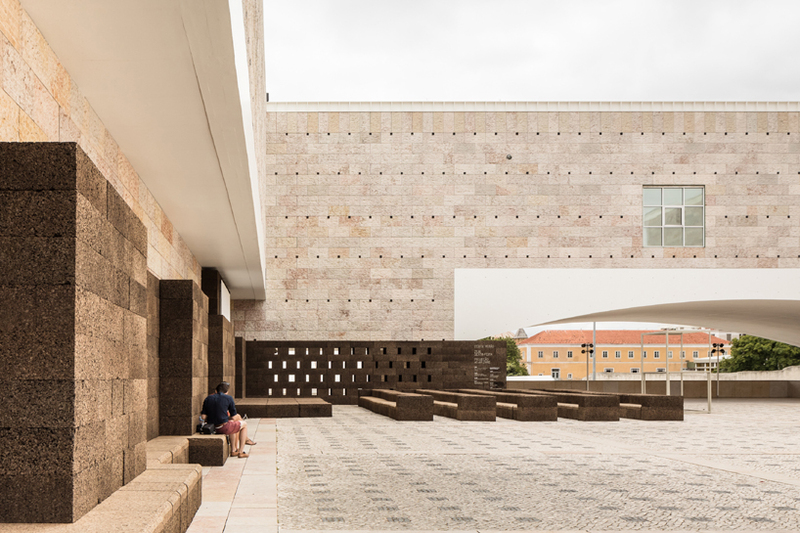 josé neves designed an AMORIM black cork wall that creates wraps along the south surface if the site. 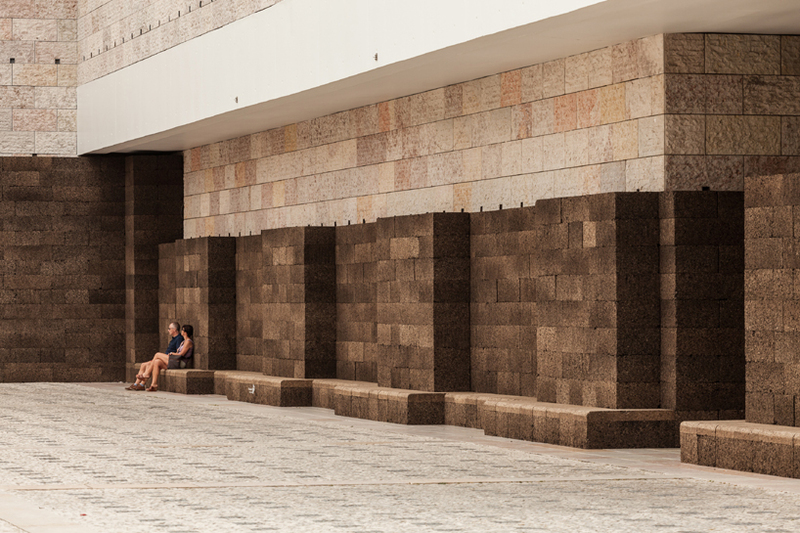 this area, which lies in the shade for nearly the whole day, sees an integrated bench that allows visitors to contemplate the urban spectacle. 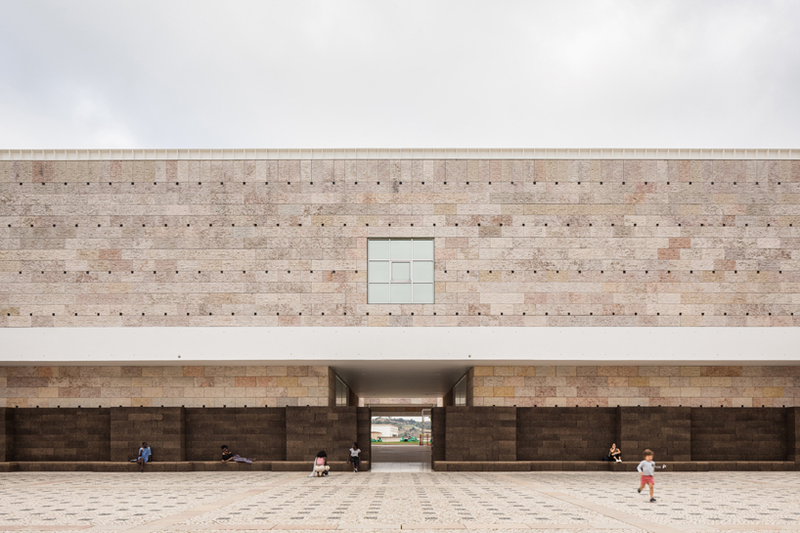 three circumstances were fundamental to the realization of the project: the square is a place of constant movement and provides access to the museum; the architecture of belém cultural center square is ruled by a geometry made evident by a grid on the ground, the repetition of cleft limestone slabs, and the arrangement of apertures; the intervention of blocks is made of AMORIM’s black cork composite. 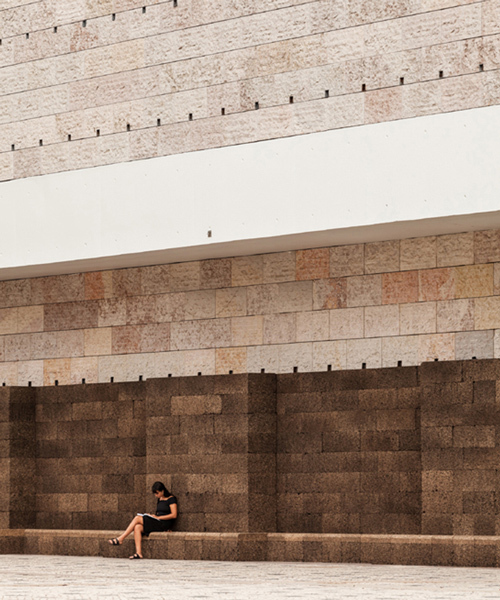 josé neves designed the rhythm of the cork wall in line with the metrics of the CCB. 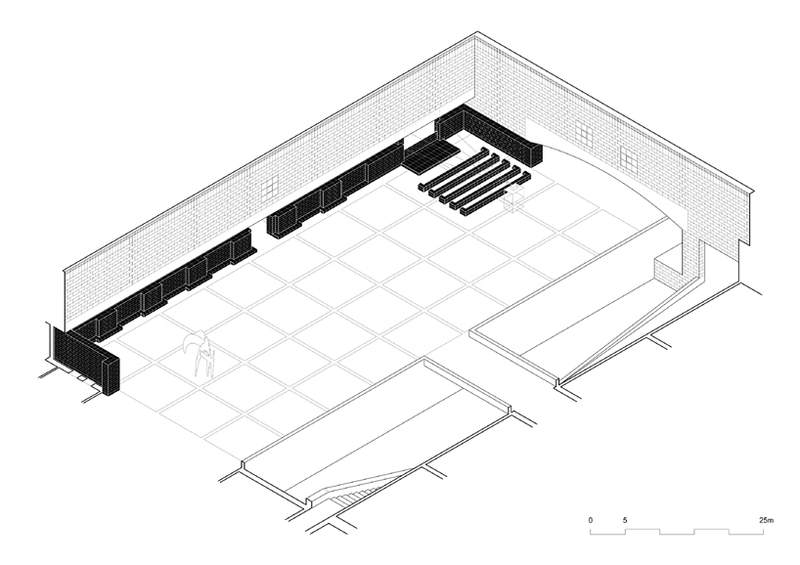 its height is the same as the base of the existing concrete arch, lending a human scale to the entire square. at the western end of the site, the wall turns and closes off the existing pathway, making a corner for visitors to watch films. 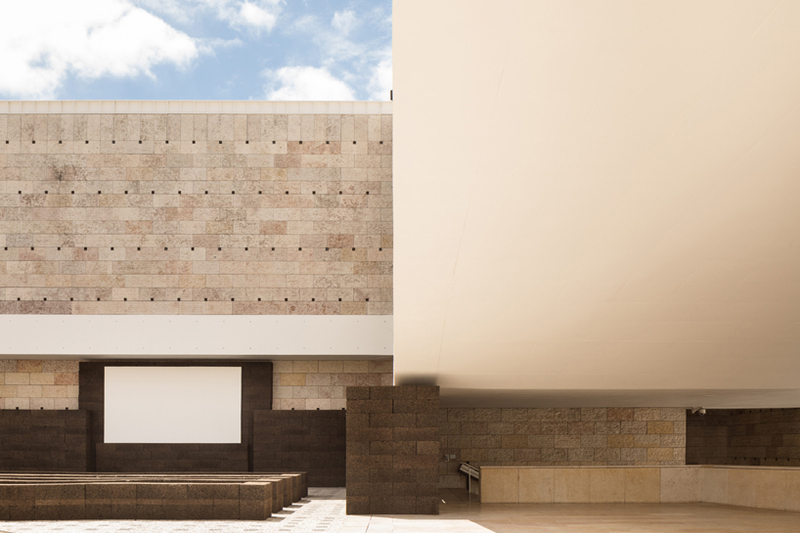 the distinctive qualities of cork mean that the transformation of the square is not only about experiencing a new scale, but also understanding the textural qualities of the material. 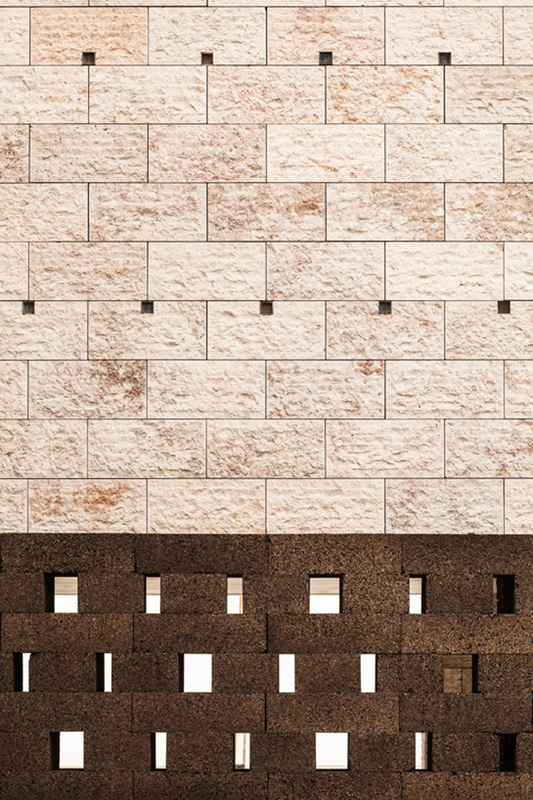 solid blocks of cork — whose color is formed by a thousand brown tones that change over time — appear to make the CCB’s slabs of cleft limestone become lighter and more delicate. ‘there was probably not a single person crossing the square without coming over to touch the cork with their hands,’ neves describes. 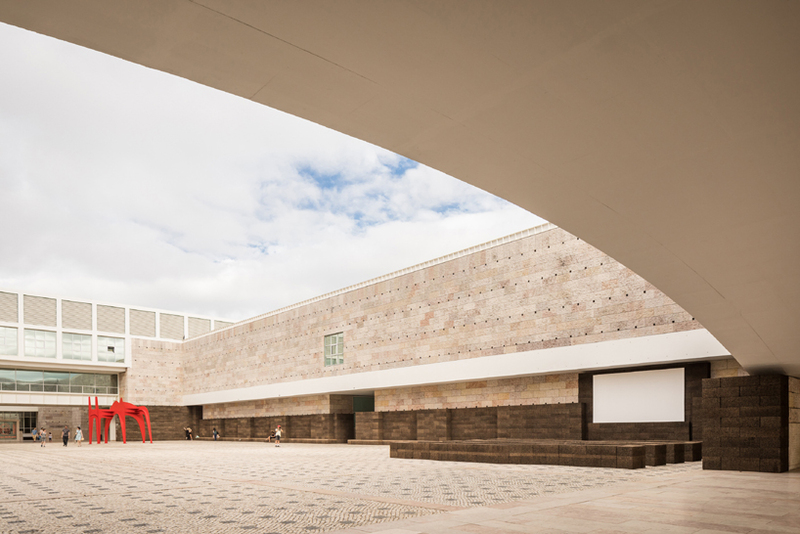 rather than constructing an object, the project was about finding a solution that would have the capacity to transform the square into an active and lively social space. 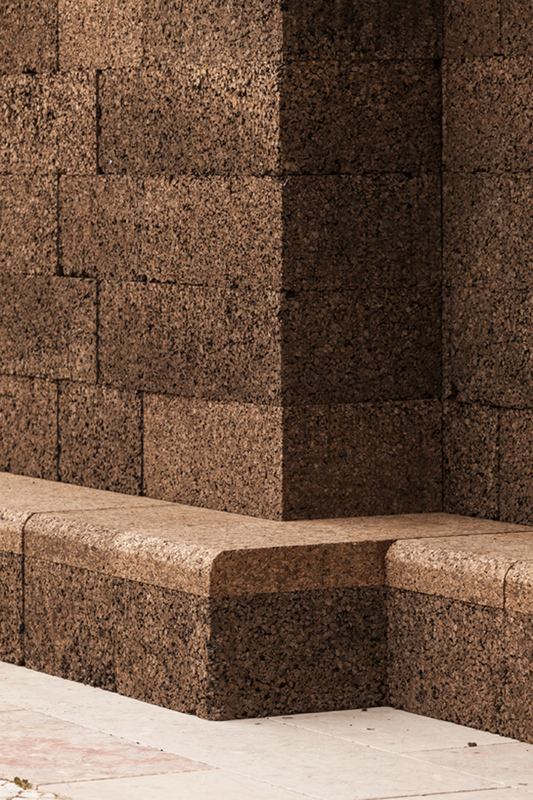 Interesting use of material … anyone know a source for …. BLACK CORK ?